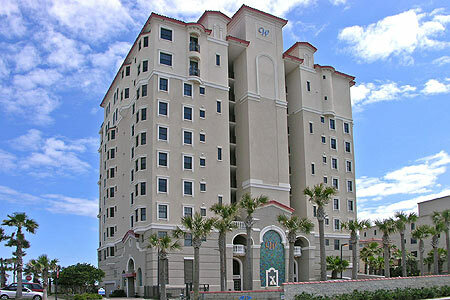 The Watermark Condominiums in Jacksonville Beach, Florida. The WaterMark is a luxury, 11-story oceanfront condominiums in Jacksonville Beach. Located on 3rd Avenue South at 1st Street South, The WaterMark offers 25 exclusive residences on 9 floors with spacious oceanfront terraces, secured lobby, two parking levels and private storage units. Completed in March 2005, this gated property includes private beach access, an oceanside pool with a heated spa and secured, covered, ground-floor parking. See site map. 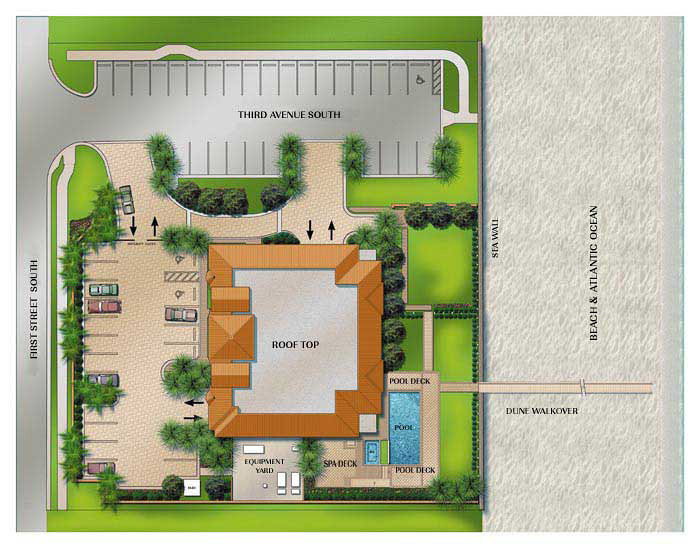 Developed by LandMar Group, the WaterMark is conveniently located in the heart of Jacksonville Beach. If you're in the mood for shopping, dining, dancing or just relaxing on the beach, all you have to do is put one foot in front of the other. Situated on the Atlantic ocean, The WaterMark condominiums are just steps away from the oceanfront park, amphitheatre, great restaurants and more. Other nearby points of interest include downtown Jacksonville's business and arts district, Ponte Vedra Beach, Amelia Island and historic St. Augustine. � Jack Nicklaus Championship Golf at Grand Haven.